If you’re serious about saving money on energy bills, a programmable thermostat may be just what you need. The fact that you can control these two from anywhere in the world is a big bonus. 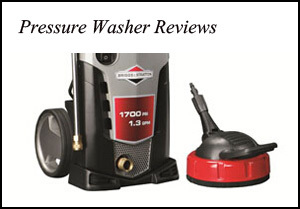 Let’s look at them both and see which one will be the best for you. 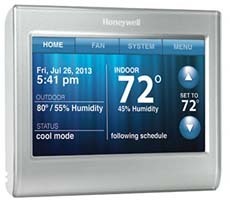 The RTH6580WF is Honeywell’s entry-level wi-fi thermostat. It holds a week of programming in memory and can be controlled by viewing its panel and using the buttons, or a over network connection. If you’re upgrading from a very old system, check to see if you have a 24-volt system already in place for your heating and cooling. You’ll need a “C” wire (which is probably labeled as such) to hook up this thermostat to power it. Honeywell provides a video on their website that shows how to install the RTH6580WF. Once the thermostat is installed and connected to your network, you can register it online through a third party company. (This is the one downside to the Honeywell wi-fi thermostats, but at least the service is free to use, for now.) That company makes it possible for you to use your web browser or an app on your smartphone to control the thermostat and view its functioning from anywhere. Imagine that you’re on vacation and you hear that power in your home area was knocked out by a snowstorm. You’re worried that your prize plants will freeze to death in your house. You check online and are relieved to see that the power is on and your plants are at a cozy 60 degrees. The RTH6580WF can be used without an Internet connection, too. Just program it for your needs. For example, in the summer while you’re away, let the inside temperature rise to 78 degrees and only start cooling the house about an hour before you arrive at home. In the winter, keep it at a frosty 58 degrees at night, only raising it about an hour before you awake. Programmable thermostats are like stocks. Set them up the way you want, and then don’t mess with them constantly so you’ll save money in the long run. Honeywell moved into the realm of touchscreens with the RTH9580WF. The buttons and backlit black and green display are gone. Now there is a more complete display of information in full color literally at your fingertips. This is no basic thermostat—it’s a computer on your wall. It has the ability to sense and display the amount of indoor and outdoor humidity, not just temperature. That alone is a very welcome addition. It shows the local weather forecasts and reminds you when you need to change the furnace filter. It knows when holidays happen and can be programmed especially for those days. If you prefer to communicate with it in French or Spanish, you have those options, too. Then you can lock the touchscreen with a password to keep others from making changes to the programming. The RTH9580WF can tell if you need heating or air conditioning and will switch between them. This is a great feature for those awkward times of the year when it’s too hot during the day but chilly at night. It can also run just the fan off and on to circulate air when needed. Like the RTH6580WF above, this thermostat can be controlled with a smartphone app from anywhere you have an Internet connection. Temperature and reminder alerts appear in the app, and not just on the thermostat display at home. It’s free to get and use the app, but it goes through a third-party, not Honeywell itself, so that’s the main downside. If you want the most control over programming possible along with weather forecasts, reminders, alerts, and a locking touchscreen, get the RTH9580WF. If you’re in the market for a simpler thermostat that you can program for up to a week and access over the Internet, get the RTH6580WF. Click here to purchase Honeywell RTH6580WF on Amazon! Click here to purchase Honeywell RTH9580WF on Amazon!